Survival Armor presents the Lightweight Special Threat Patrol Rifle Plate. 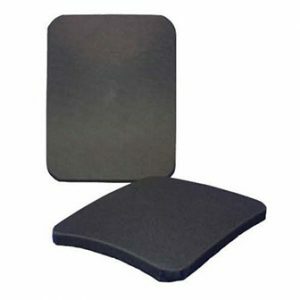 A concealable hard armor plate that stops most of the common rifle level threats out there today. With the use of decades of engineering experience designing Special Operations body armor systems, this plate is designed to be worn with an officer’s soft body armor. A specially designed curvature provides all-day wear comfort. At just over a half inch thick, this plate has a low signature concealable profile. Designed to fit into existing vest pocket configurations (see sizes below). Independently tested to the NU 0104 hard armor special threat protocol for standalone protection from AK-47 PS ball and AR-15 M855/M193 ball ammunition. *Testing performed in conjunction with NIJ Level II body armor.